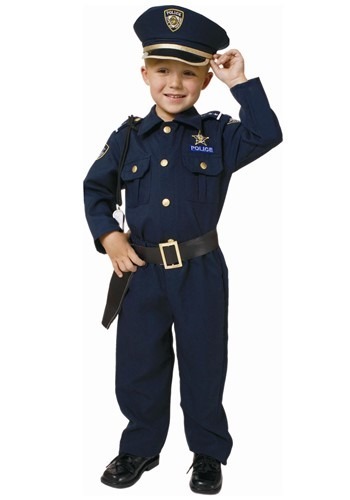 Child Deluxe Police Officer Costume By: Dress Up America for the 2015 Costume season. "Put your hands where I can see them sir!" This police officer might be little, but he doesn't mess around! When he says step out of the car, you better step out of that car. When he says, drop the weapon, you better drop that weapon. He may be a little guy but he'll get ya where it hurts the most! Pick this up for your little officer is training, and guaranteed your neighborhood will be a better place!